Novak Djokovic takes on Kevin Anderson in the 2nd semi-final on the ATP Finals in a bid to move one step closer to a record-equalling 6th Finals title. 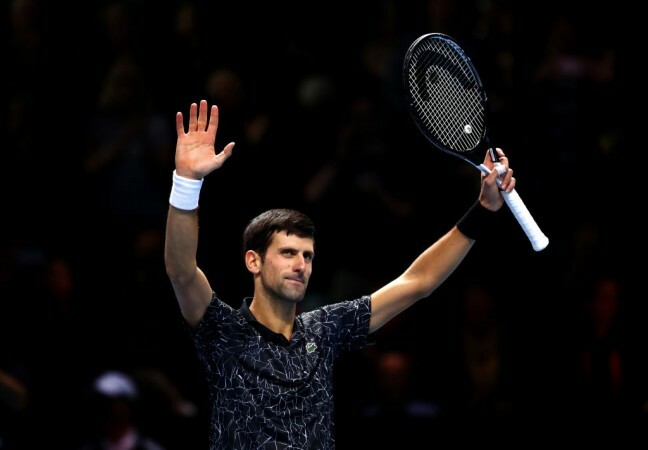 World Number 1 Novak Djokovic will take on fourth seed Kevin Anderson in the second men's singles semi-final of the ATP Finals 2018 at the O2 Arena in London on Saturday, November 17. The much-anticipated second semi-final of the year-ending tournament will not start before 8 pm local time and 1:30 am IST (Sunday). Djokovic has literally been unstoppable this season since his victory at Wimbledon and looks in prime position to win his semi-final bout against Anderson and indeed go all the way. The Serb progressed through the Guga Kirsten group undefeated and has not dropped a single set in the tournament thus far. Saturday's meeting will be the 9th meeting between the pair and Djokovic has won the last seven of them. In those seven matches, Djokovic has dropped only two sets – both in the same match at Wimbledon in 2015 when the South African had taken a two-set lead. Talking about the opponent he beat in the final of Wimbledon to start his dream run this season, Djokovic stated, "[Kevin has been] playing some big tennis throughout the entire year. This is definitely his best season. Actually, in the past couple of years, he has been playing his best tennis. "He has continued doing that throughout this tournament. He had a really dominant win against Nishikori and he lost last night to Roger, but he is playing well. He is serving very well and he is aggressive so, I know what to expect," Djokovic said in his on-court interview. Anderson, meanwhile, had a fantastic start to the tournament before he got beaten by Federer in the final game of the Lleyton Hewitt group but believes he has recovered from the defeat and is ready to face the man he last beat in 2008. "[Novak] is playing amazing tennis," said Anderson. "Obviously he's really established himself back to the top of the game. [It is a] great, great opportunity for me." This is the fifth time both Djokovic and Federer have made it to the semi-final of the ATP Finals and on all five occasions, it has been either of the two who have won the tournament. The omens for Anderson look ominous and the world number 6 will have to bring his A-game and fortune in order to upset the applecart.